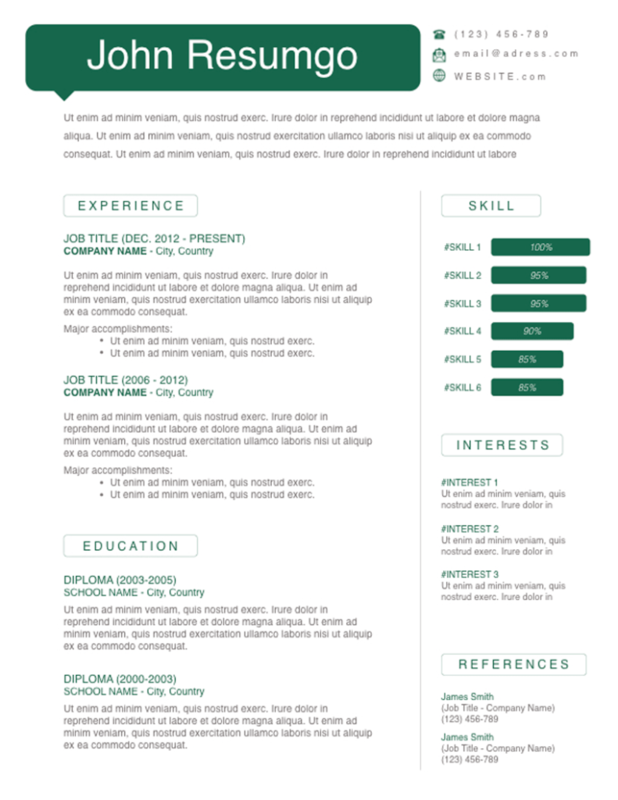 Myron is a free clean resume template, with a 2-column structure layout, and a white background. Modern yet clean style. The name is embedded in a green speech bubble. The header part of the template will present your personal information and summary/objectives. The left part is used for your professional experience, education. The right side is used for your skills (bars), interests, and references. A thin green line separates the 2 columns.